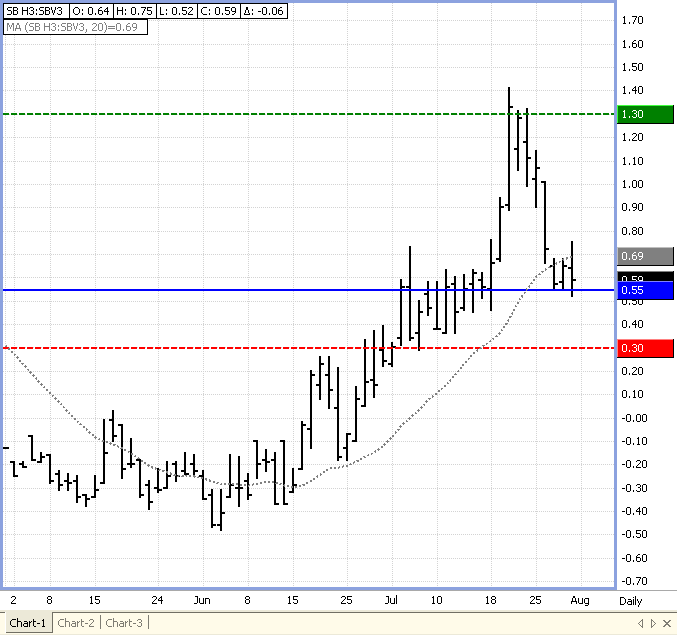 I would like to re-visit the sugar spread that we recently traded but move into 2013. If you recall we were long front month October 2012 and short March 2013. I continue to like the thought process behind this trade but would prefer to give this more time to develop. The fundamentals continue to look strong for the sugar market long term. Near term concerns have been eased a bit as South American and Australian production may soon be back on track. Weather problems may still be a cause for concern later in the year, so we will look to 2013 for our next spread. We will be trading 2 spreads. Initial margin is $385.00 per spread. However, I would recommend having margin for a full contract before entering this spread.